When will be Upp Till Bevis next episode air date? Is Upp Till Bevis renewed or cancelled? Where to countdown Upp Till Bevis air dates? 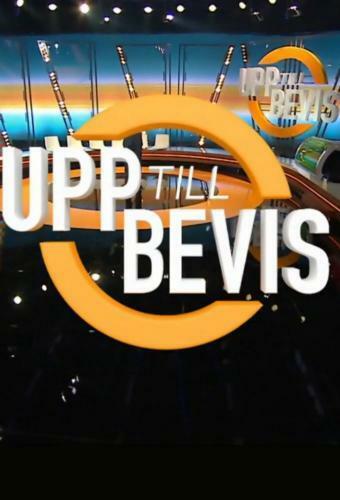 Is Upp Till Bevis worth watching? Two teams, two known people each, will compete in the match the right person with the right profession for a panel of six standard Swedes. It applies to the law - and viewers - to try to figure out who is veterinarian, police, physical education teacher, florist or pilot. What does the first impression about a person and can the contestants look past their prejudices? Upp Till Bevis next episode air date provides TVMaze for you. EpisoDate.com is your TV show guide to Countdown Upp Till Bevis Episode Air Dates and to stay in touch with Upp Till Bevis next episode Air Date and your others favorite TV Shows. Add the shows you like to a "Watchlist" and let the site take it from there.